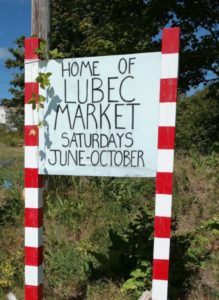 The Lubec Market, “the Easternmost Market in the U.S.A,” was founded in 2011 and is right on Water Street in downtown Lubec. Come early to enjoy food, camaraderie, & live music from local musicians. The market has more than 15 vendors offering fresh organic vegetables, seedlings, potted plants, herbs, fresh baked breads, cookies, fused glass bowls and earrings, juried pottery, art, photography, goat cheese, hand-crafted soaps, fresh-picked lettuce, duck and chicken eggs, organic cow’s milk and cheeses, frozen chicken, and more. Outdoor activities near the market: The Mowry Trail is a path & boardwalk accessible from the Lubec Consolidated School. The boardwalk passes through dunes & rose bushes before emerging at the beach. From the beach, enjoy views of Campobello Island, the Quoddy Narrows, and Quoddy Head State Park. 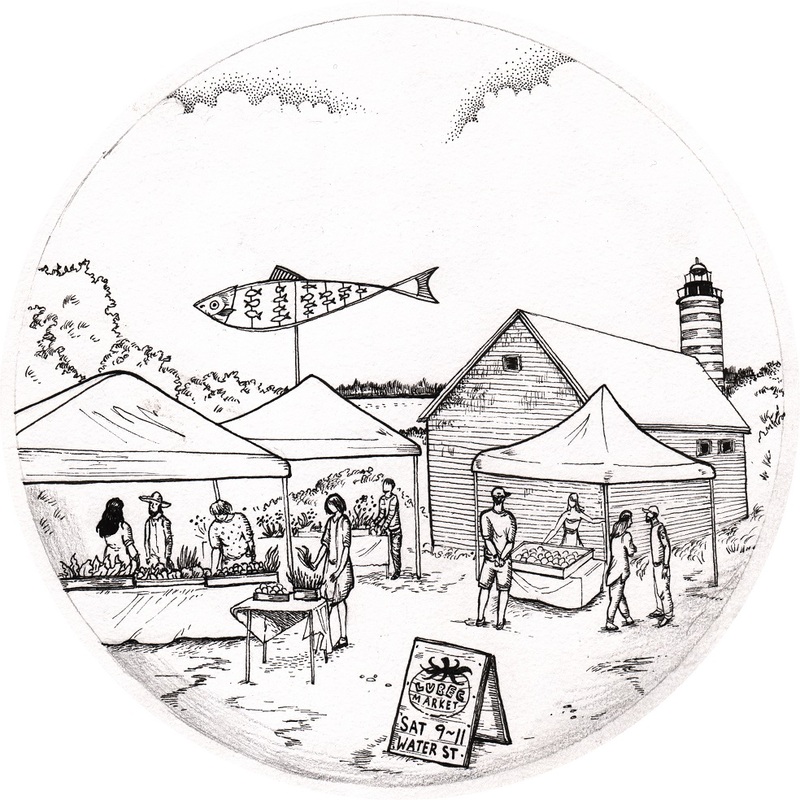 Indoor activity: Lubec Farmers’ Market coloring page here. Lubec Winter Market is open on specific Saturdays, 10:00am-12:00pm at Lubec Brewery, 41 Water Street, Lubec. Check their facebook page for ongoing updates.